When you fail to open a program or a file on your Windows computer, and you’re seeing this error: The program can’t start because api-ms-win-crt-runtime-l1-1-0.dll is missing from your computer. Try reinstalling the program to fix this problem, it could be super frustrating. IMPORTANT: Do not download dll file from any dll download website! Not only the dll files on them are not up-to-date, but also the source isn’t approved. And there are other reasons your should not do that. But if you have already downloaded one, please remove it completely. The api-ms-win-crt-runtime-l1-1-0.dll file is including in Microsoft Visual C++ Redistributable for Visual Studio 2015. 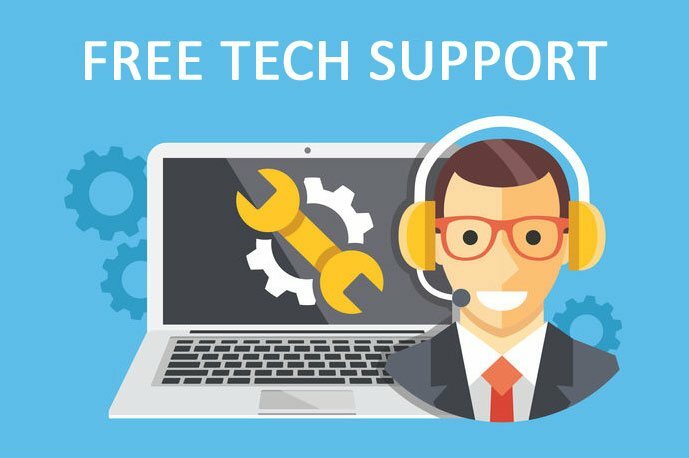 If there’s no this software, or your existing one is missing, incompatible or corrupted, you could probably then encounter this problem. How do I fix the api-ms-win-crt-runtime-l1-1-0.dll missing error? Note: If you already have Visual C++ Redistributable for Visual Stadio 2015 on your computer, follow the 3rd way to repair the software. Microsoft has built Visual C++ Redistributable for Visual Studio 2015 in Windows Update KB2999226. So you can install it through Windows Update. Type Update in the search box from Start. 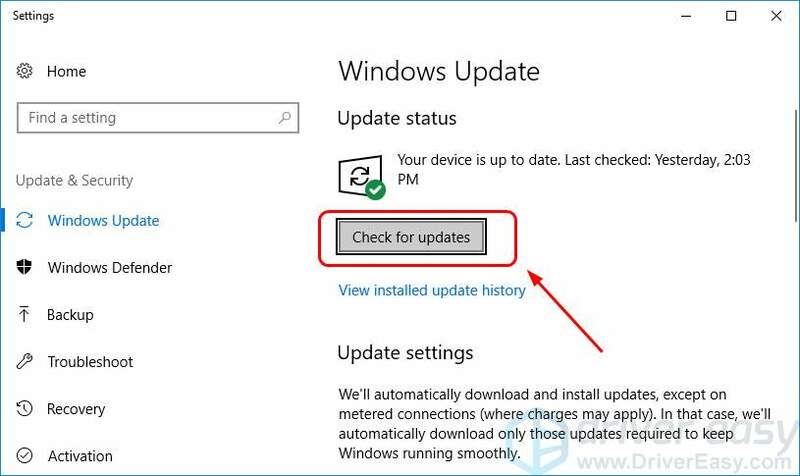 Then click Check for updates (Windows 10) or Windows Update (Windows 7) from the result. Click Check for updates . 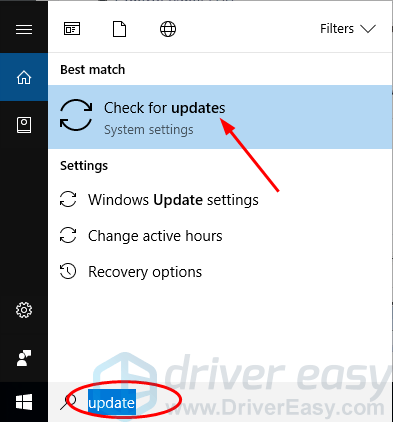 Windows should then check for updates automatically. Restart your computer. Then repeat the steps above again until no more updates are available. Go to Microsoft Download website. Select your system type x64 or x86(x32), then click Next. 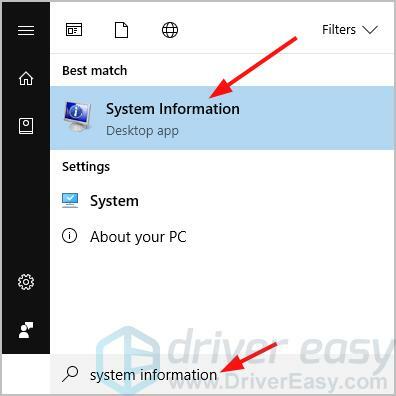 NOTE: If you’re not sure what system type your Windows runs, check like these: type system in the search box from the Start menu, then click System (Windows 10) or System Information (Windows 7) from the result. You should then see your system type on the pop-up window. It should then start to download the file. 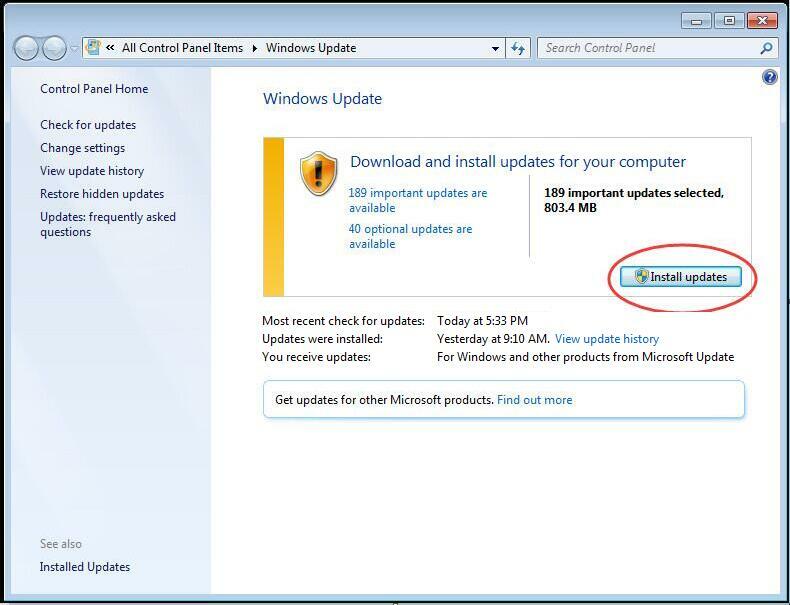 When it’s done, double-click the downloaded .exe file and follow the on-screen instructions to complete installation. Open the same program or the file to see if successfully. If you open the program successfully, great! If the error still exists, don’t worry, move onto Way 3. 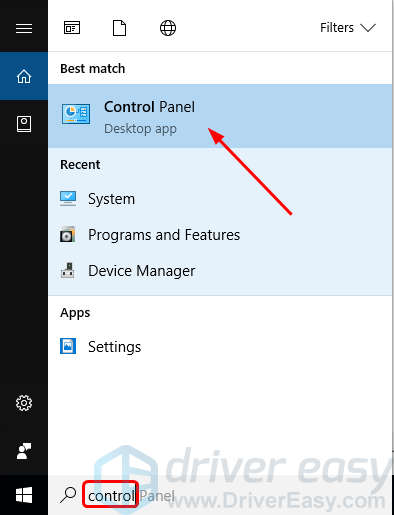 Type control in the search box from the Start menu. Then click Control Panel. Click Programs and Features under the Small icons pane. 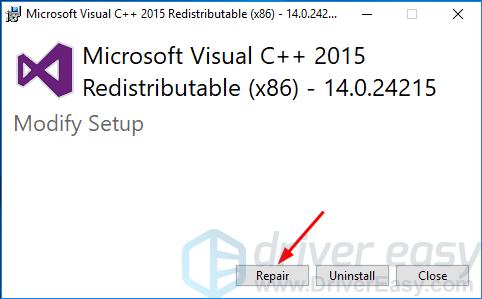 Click Microsoft Visual C++ 2015 Redistributable, then Change. Click Yes when prompted by User Account Control and continue to follow the on-screen instructions to complete the repair. If unfortunately, all the previous methods fails to help, you can copy the api-ms-win-crt-runtime-l1-1-0.dll file from a PC that runs the same Windows system as yours. Part 1: Check your Windows system type and find a computer that runs the same system with yours. On your keyboard, press the Windows logo key to bring up the Search box. Type system information and then select System Information from the result. You should then see the system type of the computer. Part 2: Copy the api-ms-win-crt-runtime-l1-1-0.dll file from the working computer and then paste it to the problem computer. On the keyboard of the working computer, press the Windows logo key and E at the same time to bring up the File Explorer. Go to C:\Windows\System32, then type api-ms-win-crt-runtime-l1-1-0.dll and press Enter. If it shows no results, go to C:\Windows\SysWOW64 instead and search api-ms-win-crt-runtime-l1-1-0.dll again. Copy the api-ms-win-crt-runtime-l1-1-0.dll file if found and paste it into the same location as where you copy the file in your problem computer.